M. Jeffrey Martin, CPA, LLC offers more than tax preparation services. We also provide individuals and families in the Saint Simons Island area with a variety of valuable tax planning services including cash flow management, strategic tax planning, asset management, succession, estate, trust, and retirement planning. We recognize that certain turning points in your life like the sale of a business, financing your children's education, or retirement, require careful financial planning. We'll work with you to achieve your financial ambitions and maintain your lifestyle during retirement while carefully preserving wealth for the next generation. Saint Simons Island CPA firm M. Jeffrey Martin, CPA, LLC has been helping families and individuals minimize their tax liability for many years. When you work with us you'll be confident that you never overpay your taxes and will have the peace of mind of knowing that your family if financially prepared for the future. 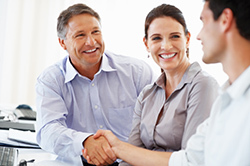 Want to discuss our individual tax services in more detail? Contact M. Jeffrey Martin, CPA, LLC at 912-634-7722 to schedule your free initital consultation today.